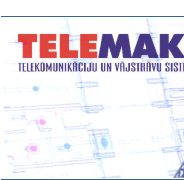 Telecomunication company “TELEMAKS” have been registred at the Latvian Commersial register on 2003, January 28. TELEMAKS Ltd. is an all-purpose company, that offers the wide range of services in the sphere of telecommunication and low-voltage systems. 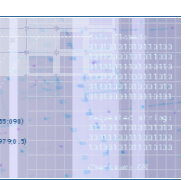 - building management systems (BMS). With the increase of competition in the labour market, the key factor becomes the professional efficiency of the company’s employees, which is provided through regular training of our company’s employees of all levels. Company’s specialists obtained special training and received the permitting licenses to perform design and installation work. TELEMAKS Ltd. is authorised to offer AVAYA Communication, ORTRONICS, PANDUIT, BRAND-REX production. TELEMAKS Ltd. cooperates with many manufactures, such as “Teletekno”, “Avaya Communication”, “NK cables”, “Anixter”, “Dynacord”.